Salesboom’s Cloud based CRM Sales Force Automation software renders efficiencies and profitability your sales team desires. On demand SFA solutions give the functionality needed in the competitive economy of today. Never misplace or have a lead fall through the cracks, due to unmanaged leads. Salesboom's online hosted CRM software delivers tools that collect, maintain and forecast lead opportunities keeping your sales staff on top of the current situation in each lead. Salesboom.com is the Enterprise Cloud Based CRM vendor, founded in 2003 by CEO Troy Muise and President Rami Hamodah. Since inception, Salesboom.com has had the same focus: Continuously innovate to provide an intuitive service that empowers companies to better understand their customers, to sell more and to grow more. 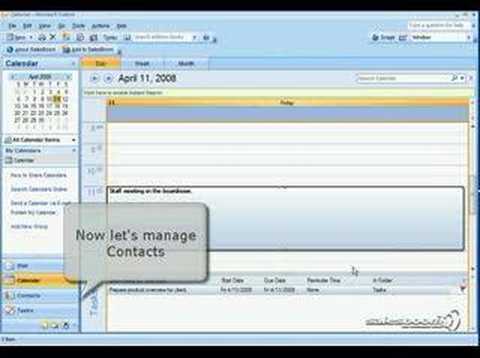 The Salesboom.com Enhanced Outlook Edition leaves nothing behind, users can synch contacts, tasks, notes, appointments, emails, cases, accounts and opportunities. These records can then be associated with other areas within the Salesboom.com CRM Software platform by linking them during the synching process. Q. Will you integrate with our software / servers? Most definitely. Salesboom has performed hundreds of integrations for our customers to such applications as SAP R3, Quickbooks, Microsoft Accounting (Great Plains) and many more. Salesboom has a Web Services API which makes integrating with any system either from another software vendor or to in-house or ‘home grown’ software that needs to share information with Salesboom. Q. What are the details of Salesboom wireless edition? There is an extra cost for Wireless Edition access and you must be an Enterprise Edition user to use Salesboom Wireless Edition. Wireless Edition gives you wireless access to your Salesboom data and keeps your data synchronized with Salesboom over the cell phone network without the need for a cradle. It is an application that is installed on the wireless device and when you are unable to get a connection, you still have all your data stored on your device and are able to update it on the device. When you are establish a wireless connection, your data wwill synchronized to Salesboom.com. Q. Do you integrate with Microsoft Access database? Most Definitely. Please contact Professional Services who will guide you through the process to allow you to share information between Salesboom CRM and Microsoft Access Database. With Salesboom’s customization abilities, many times that same data can be saved right in salesboom, thereby eliminating the need to do an integration. Maintaining even a home-grown integration is an extra cost to the customer that Salesboom can probably save you. Q. What about upgrades? Are they included? Yes. All Salesboom subscriptions will receive timely upgrades 4-5 times a year free of charge. With our software-as-a-service model, upgrades are accessed automatically when they become available. Q. What are the minimum users required? Enterprise and Professional Editions have no minimum or maximum user requirements. Team Edition has a minimum user limit of 5 and a maximum of 30 users. Solo edition is limited to one user only. Q. What about Service Level Guarantees? Unlike many other vendors, Salesboom customers enjoy a comprehensive Service Level Agreement with an uptime guarantee of 99.8% or a refund will be issued. Salesboom also provides a service monitor to inform our customers of any disruption in service transparently. Q. How do Salesboom editions differ? Enterprise Edition is our complete CRM and ERP solution for organizations that require a wall-to-wall on demand customer facing and back office solution. This solution features Marketing Automation, Sales Force Automation, Customer Service and Support solutions, Accounting and Human Resource Management. Professional Edition is our complete CRM solution for organizations that require their business processes automated across Marketing, Sales and Customer Service and Support. This edition does not include any back-office features such as product database, inventory management, accounting or HR. Team Edition is our complimentary offering for small organizations or divisions at larger companies that require an on demand powerful fully-automated Sales Force Automation solution for groups of 5-30 users. Solo Edition is made for individual Sales agents to completely manage their prospects, customers and the sales pipeline online. This solution is designed for agents that might not need or can influence the organizations they work for to adopt a company-wide on demand CRM solution.